Blackout shades are very popular, especially for bedrooms, entertainment rooms, and nurseries. 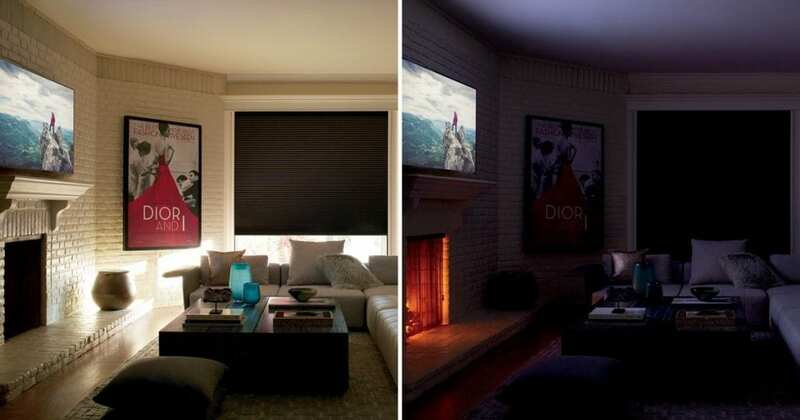 Blackout shades offer optimal light control which can result in a better night’s sleep, an enjoyable home theater experience and ultimate privacy when needed. Some blackout shades, however, do not provide 100% total light blockage, as gaps around the window covering allow light to seep through. The new Hunter Douglas blackout system promises complete darkness when needed. The Duette® Honeycomb Shades with Lightlock™ uses unique U-shaped side channels that overlap the front and back of the shades. These side channels feature specially shaped micro-ridges that are designed to absorb and/or deflect all incoming light. Are you ready to enjoy a total blackout experience? Contact us today to learn more about the Duette® Honeycomb Shades with Lightlock™ and to schedule your FREE in-home consultation.